We. Want. Every. Single. One. We’re suckers for two things: Disney and makeup. 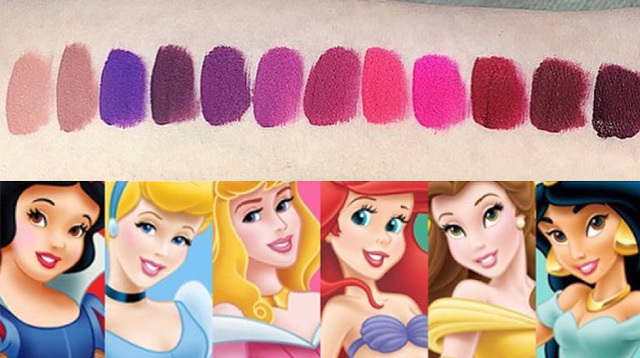 That’s why when beauty blogs and websites starting raving about a Disney Princess line of liquid lipsticks, we *kind of* peed in our big girl pants in excitement. Just kidding. Or not. It turns out, LA Splash Cosmetics—yes, the same one that created the Harry Potter liquid lipstick line—also houses a collection of Disney Princess-inspired liquid lipsticks. The collection is made of 12 different shades, each inspired by our fave female characters. Belle – A pretty dusty rose. Jasmine – A bright electric magenta. Aurora – A smooth light burgundy. Ariel – A bright baby pink. So pretty! Each tube costs 14 dollars via the company’s website. The only thought we have right now?